It’s National Agriculture Day! Not everyone knows how deeply The Tutorial Center is rooted in local agriculture! Did you know we operate the only food network in southwest Vermont? We do! 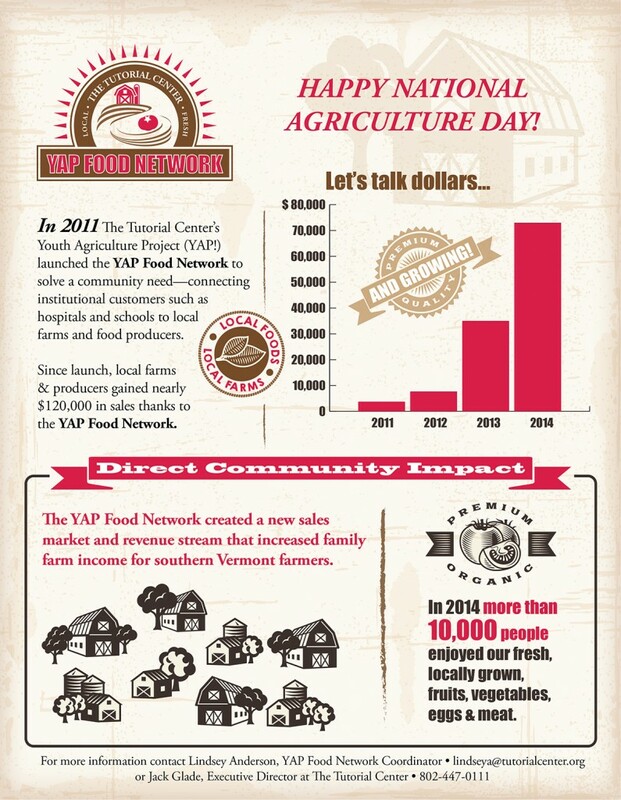 The YAP FOOD NETWORK was launched out of our successful YAP! program and it’s thriving! Here’s a glimpse of our success and growth to date! < We’re Joining the Revolution!